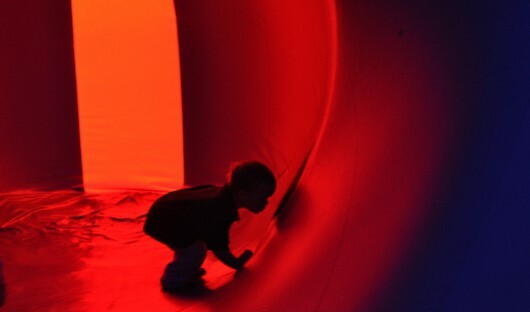 Home»All»One Week Only: Architects of Air at Discovery Green March 15-23, 2014! 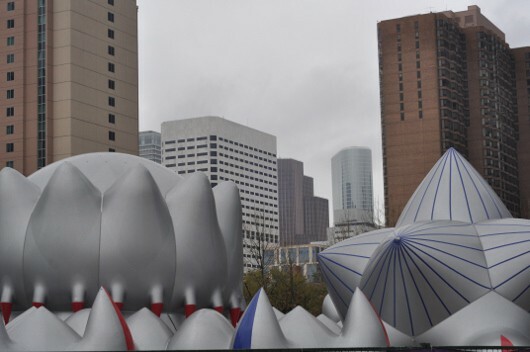 Architects of Air is at Discovery Green for this week only! We went, and it was great. 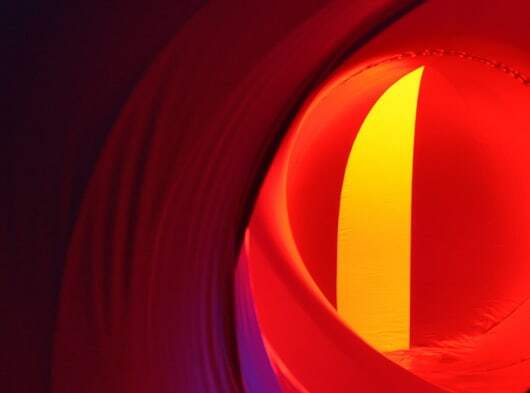 Architects of Air is a giant luminarium that is 30 feet tall and covers half a football field. You can learn all about it HERE. From the outside, it looks like a giant bouncy house. 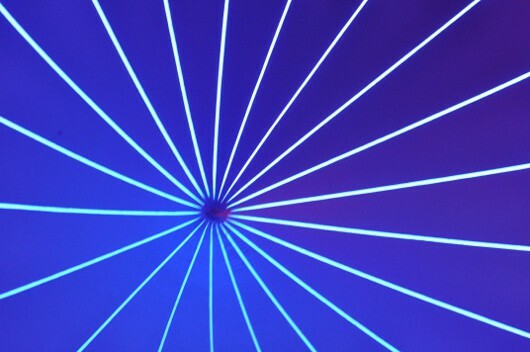 On the inside, it’s a maze of rooms with soft music and beautiful light. 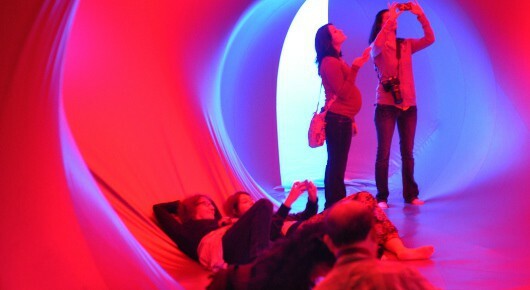 You can wonder through the rooms or sit in a pod and just enjoy. It costs $10 for everyone over 3 years old. On March 17, you can pay half price if you sign up for the eNewsletter onsite at Discovery Green. It was a little expensive for our 20 minute visit, but it was certainly the most unique thing we’ve done all weekend. The kids keep on talking about it. We arrived at opening time, in the light rain, and still waited for 10 minutes to go inside. Waits can get much longer than this, so try to arrive right at opening or bring something fun for the kids to do. If you visit over this spring break week, send me a note or leave a comment with what you thought!